Visconsi Companies has begun construction at its Frederick, Maryland development located along Urbana Pike and adjacent to the market’s major retail center, Francis Scott Key Mall. 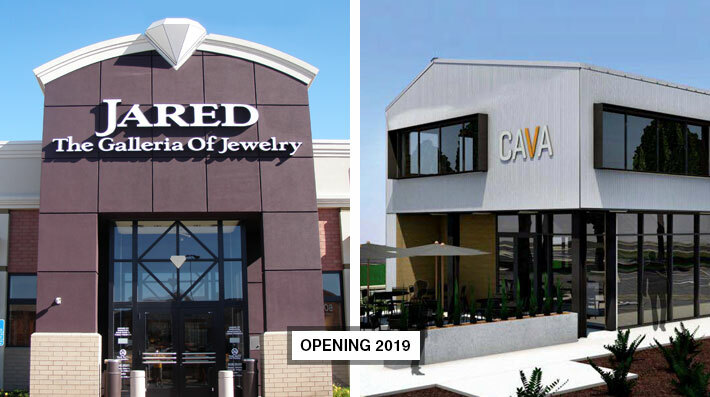 Occupying this new site will be Jared The Galleria of Jewelry and CAVA Grill. Jared The Galleria of Jewelry is a member company of Signet Jewelers Ltd., the world's largest retailer of diamond jewelry with over 3500 stores. CAVA Grill was recently named by Fast Company magazine as one of The World’s 50 Most Innovative Companies for 2018. A unique customer data-driven restaurant, CAVA has rapidly grown to over 50 locations with a dozen more opening soon in several markets nationwide. For further information on retail and other use opportunities at Visconsi Companies new developments and portfolio properties, please contact Mike Olsen, Vice President of Leasing.